At Geneva yesterday Ferrari and Lamborghini unloaded what are possibly two of the most ridiculously stupid looking cars ever. 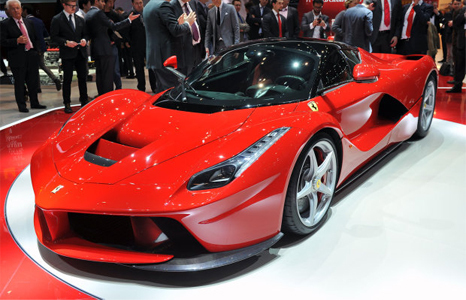 First up is the redundantly redundant Ferrari LaFerrari. This is what amounts to a 458 Italia with a widebody kit, some gullwing doors, and loads of carbon fiber. While carbon fiber won’t hurt it on the track by a long shot – you can’t just give it a pointy nose, lots of the lightweight stuff and say it’s a new inspired vehicle. It’s ridiculous looking. Combine that with the worst name in history and you’ve got the dumbest Ferrari made. Anyone who says this is good looking is only saying that because it’s a bright red Ferrari and that’s what you’ve been told to think by their mind bogglingly good marketing team. I’ll take ANY other Ferrari over this one. Next up was the newest contender for the Batmobile. Lamborghini apparently put a bunch of 8 year old kids in charge of designing it who then took to posters on their wall & combined those with their latest transformer toys and their mom’s Dyson vacuum. 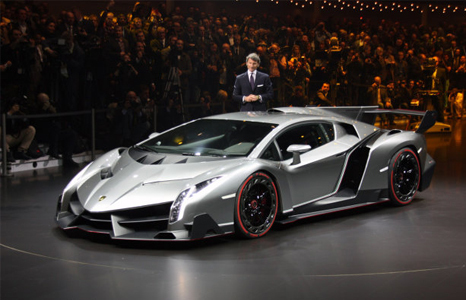 It’s got a tail from an airplane and more slots gills and vents in it than it costs in dollars – 4.5 million. Luckily there will only be 3 examples of these ever made and the chances of me having to ever look at one in person are literally non existent.